Temple garden with pond in autumn, Bishamon-do. www.sonomacounty.com/ With leaves on both tree and vine, fall foliage is doubly intense in Sonoma County. Drive through Sonoma Valley along Arnold Drive, lined with multicolored canopies of oak and maple. Continue through the Russian River Valley, where vineyards paint the ground with sun-fire hues and wines are paired with the October squash harvests. 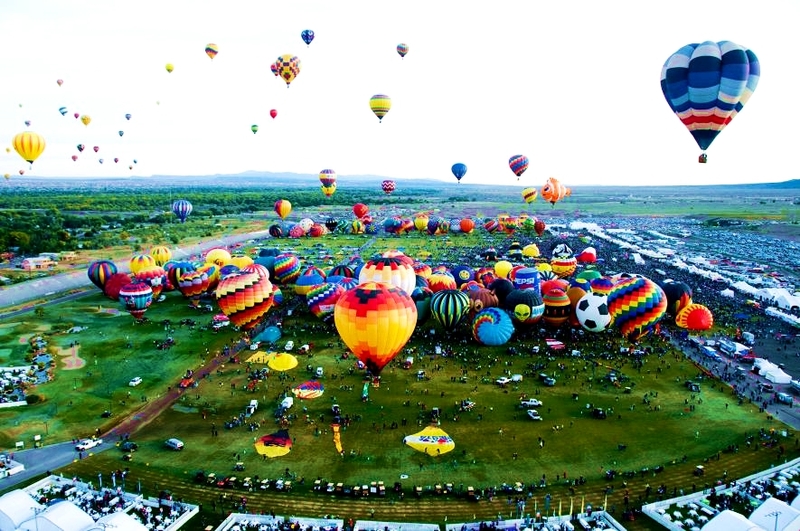 www.enchantedcircle.org In a state mischaracterized as a one-season desert, New Mexico’s northern tip—which brushes the foot of the Rocky Mountains—beats to a seasonal rhythm. Drive the 83-mile (134 km) Enchanted Circle stretching from Taos to Red River, a diverse and scenic landscape of verdant valleys, cottonwood forests, and aspen-rimmed mountain lakes that turn to gold in late September and October. fallinamishcountry.com In the heart of central Ohio’s Amish Country, maple, oak, and the iconic state tree, the buckeye, hang over narrow roads that meander through wavy fields of corn. Drive under the boughs of bright reds and yellows, sharing the road with horse-drawn carriages of the Old Order Amish and stopping at roadside farm stands along the way. www.tourisme-gaspesie.com Along coastal Quebec, maple leaves turn reds reminiscent of the leaf on Canada’s flag. On the Gaspé Peninsula, the trees have the blue waters of the St. Lawrence Gulf as a backdrop. Hike the mountains of Parc National de la Gaspésie, or leaf-peep while whale-watching in Forillon National Park, where seven types of whales visit through October. www.dourovalley.eu/en/ Autumn transforms the Douro River Valley, which slices across northern Portugal, into a sea of red, orange, and yellow as the terraced vineyards that slope along the riverbanks prepare for winter. Take a cruise along the 125-mile (200 km) waterway, fortifying yourself against the autumn chill with a glass of the region’s famed local port. www.romanticroad.com Southern Germany is saturated with Alpine forests that pop with color against snow-dusted mountains. Meander along the 224-mile (360 km) Romantic Road, beginning in the Franconia wine region—where local wine festivals punctuate the autumn calendar—and heading south through centuries-old towns such as medieval Rothenburg ob der Tauber and Dinkelsbühl. Crowded with tourists in summer, fall offers more relaxed tempos for leaf-peeping. www.romaniatourism.com Autumn breaks Count Dracula’s spell in Transylvania, a place steeped in legend and imagery of sepia-toned medieval castles and hazy moonlight. Challenge yourself on the Transfăgărășan, a 56-mile (90 km) drive through the Fagaras Mountains full of 90-degree turns, hairpin curves, and spectacular vistas of autumn’s finest foliage. mgomz.comMoscow is defying its stereotype as a forbidding gray, Soviet-era metropolis and converting the estates of former tsars into public parks that paint the city with autumn hues. Try Kolomenskoye, where whitewashed palaces and blue, onion-shaped church domes punctuate a forest and rows of apple orchards. whc.unesco.org/en/list/637 The Jiuzhaigou Valley hosts some of the most diverse flora and fauna in China. Autumn whips up a colorful competition between the dramatic red-orange leaves, rainbow-hued prayer flags of Tibetan villages, and emerald-tinged lakes that dot the landscape. 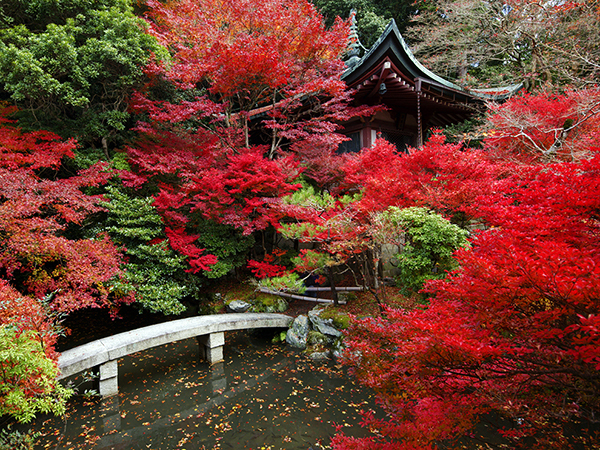 www.japan-guide.com In Japan, the leaf-viewing tradition—called koyo—mirrors its spring cherry blossom customs. One of the best spots for koyo is Kyoto on the island of Honshu, where vivid leaves frame sloping temple roofs, remnants of the city’s many centuries of imperial history. Nighttime illuminations pierce the translucent, heavy branches at their colorful height from mid-November through December. Higher mortgage rates aren’t the only things driving up the cost of buying a home. Mortgage closing costs are up, too. Loan-origination and other fees rose 6% the past year to $2,402 nationwide on a $200,000 single-family mortgage loan to a customer with excellent credit and a 20% down payment, according to survey data from Bankrate.com. Origination fees accounted for the bulk of the increase. They jumped 8%, while third-party fees edged up 1%, indicates the survey conducted in June. Origination fees are rising, in part, because interest rates are higher, says Guy Cecala, publisher of Inside Mortgage Finance. As rates rise, lenders make less profit on the money they lend, so look for more profit from fees, he says. Lenders are also having to do more work underwriting loans, which increases their costs, says Doug Lebda, CEO of the Lending Tree online exchange. Last year, origination fees were 1% lower than in 2011, Bankrate’s data show. Higher interest rates have taken a toll on the refinance market in recent weeks. As that business declines, more lender competition for loans should help keep competitive pressure on origination fees, Cecala says. The average interest rate for a 30-year fixed-rate loan was 4.39% for the week ended Thursday, up from 3.55% a year ago, Freddie Mac data show. The higher closing costs are one more reason consumers should shop around and compare fees from different loan originators to get the best deal. Some lenders offer loans with no origination fees. Of all the closing costs, lenders “have the most discretion,” with origination fees,” Cecala says. Consumers should also watch out for underwriting or processing fees, which can add up, Cecala adds. There’s so many different costs associated with closing on a loan that it can be confusing for consumers to do good comparison shopping, says Quicken Loans chief economist Bob Walters. One way to get an apples-to-apples comparison is to ask for a no-cost rate, he says. That should result in quotes that lack fees but carry higher interest rates. In general, interest rates matter more than fees if someone is going to be in the home for more than a few years, he says. Over time, the lower interest rate typically results in more savings. “The rate is still the biggest driver of mortgage costs,” Lebda says. Bankrate’s survey showed Hawaii’s average closing costs of $2,919 to be the highest in the nation. Alaska ($2,675), South Carolina ($2,658), California ($2,639) and New Mexico ($2,566) rounded out the top five. The lowest costs were in Wisconsin ($2,119), Missouri ($2,188), Kansas ($2,193), Michigan ($2,203) and Washington ($2,208). Bankrate’s survey excludes taxes, title fees, property insurance, association fees, interest and other prepaid items. Taking its cues from Native American and Spanish Colonial styles, chunky looking Pueblos emerged around 1900 in California, but proved most popular in Arizona and New Mexico, where many original designs still survive. The style is characterized by flat roofs, parapet walls with round edges, earth-colored stucco or adobe-brick walls, straight-edge window frames, and roof beams that project through the wall. The interior typically features corner fireplaces, unpainted wood columns, and tile or brick floors.